When will be Expedition Unknown: Hunt for the Yeti next episode air date? Is Expedition Unknown: Hunt for the Yeti renewed or cancelled? Where to countdown Expedition Unknown: Hunt for the Yeti air dates? Is Expedition Unknown: Hunt for the Yeti worth watching? 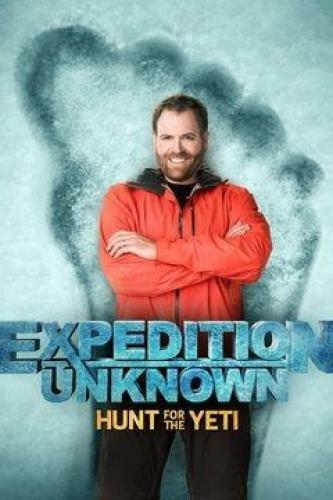 In Expedition Unknown: Hunt for the Yeti, join Josh Gates as he sets off on a quest to find the Yeti, a legendary man-ape living in the high altitude of the Himalayas. During this mother of all hunting expeditions, Josh meets with world-renowned researchers and daring explorers as he follows up on history's most credible accounts, gains access to ancient artifacts and investigates the most recent sightings of the so-called Abominable Snowman. Josh Gates heads high into the Himalayas of Nepal to obtain scientific evidence of the legendary Yeti; a mission into uncharted territory. Josh Gates ascends higher into the Himalayas to explore caves, examine ancient artifacts and investigate the mystical ties the legendary creature holds with the Nepalese people. Josh Gates travels from the frozen slopes of Mount Everest to the isolated forests of Bhutan, where he uses bait to force a more personal encounter with the creature. Josh rafts into the remotest corners of Bhutan to capture some of his best evidence yet of the reclusive creature, the Yeti. Expedition Unknown: Hunt for the Yeti next episode air date provides TVMaze for you. EpisoDate.com is your TV show guide to Countdown Expedition Unknown: Hunt for the Yeti Episode Air Dates and to stay in touch with Expedition Unknown: Hunt for the Yeti next episode Air Date and your others favorite TV Shows. Add the shows you like to a "Watchlist" and let the site take it from there.